The Vespa GTV is the ultimate expression of a large frame scooter. 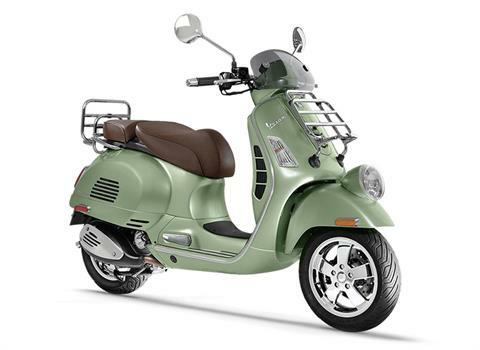 Drawing its design inspiration from the fender light installed on the original Vespa 98 cc, this scooter combines vintage styling with modern performance. Its 300 cc engine can deliver maximum power of 22 HP at 7,500 rpm and maximum torque of 16 ft-lb at 5,000 rpm, ensuring quick throttle response and fantastic performance. The most powerful engine in the entire Vespa range, equipped with front and rear disc brakes, state of the art electronics like ABS and ASR systems, delivers absolute riding pleasure. SAFETY: On the GTV, the state-of-the-art electronic safety control systems come as standard features, such as the ABS brakes and the ASR traction control, a Piaggio Group technology exclusive. In particular, the ABS helps raise the already high level of safety to make your journey fun, with increased confidence. If sudden braking is needed, the sensor system installed on the front wheel reacts to prevent locking, improving stability and braking effectiveness. TECHNOLOGY: The technological advancement of the new GTV 300 ABS sets new standarDual Sport on safety and electronic equipment. 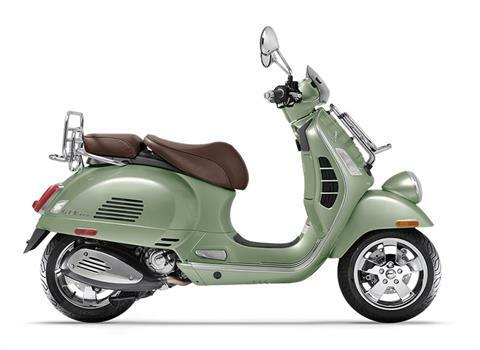 ABS braking and ASR traction control deliver safe braking and acceleration in all conditions whilst Vespa Multimedia Platform allows smartphone connectivity. DESIGN: The headlight mounted on the front mudguard of the GTV 300 ABS is a reference to some of the first Vespas to come off the production line in Pontedera, Italy. The Metallic Gray with Burgundy seat color combination further enhances the exclusivity of the vintage range.